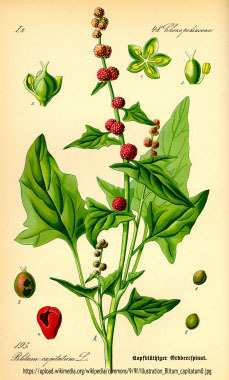 Strawberry Blite is also known as blite goosefoot, strawberry goosefoot, beetroot, strawberry spinach, Indian paint, and Indian ink. It is native to most of North America. It is considered a weedy species, popping up in disturbed soils mostly unexpectedly. Many people grow this as an ornamental. Many websites claim this is an annual plant whereas it is a monocarpic. A monocarpic plant lives to produce a single crop of seeds then it dies. A monocarp is not necessarily short-lived. 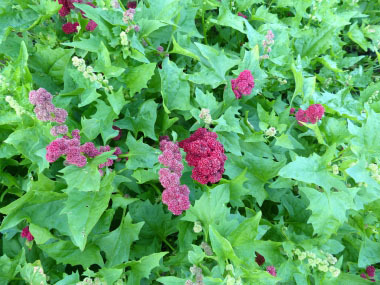 This is in the lamb's quarters (Chenopodium) family. Distinguishing Features: This plant is easily identified when the bright red fruit appears. Fruits are small, pulpy, bright red and resemble strawberries. 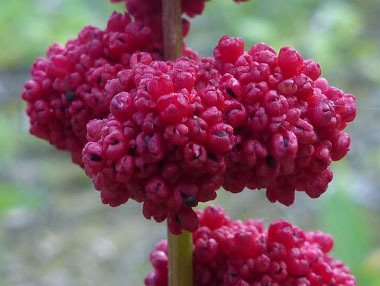 The fruits contain small, black, lens-shaped seeds that are 0.7-1.2 mm long. 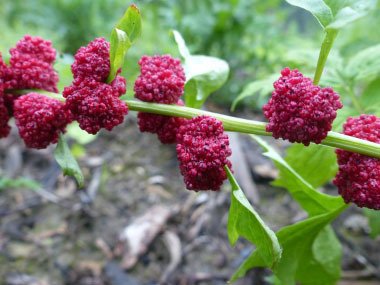 Strawberry blite arises from a stout taproot, forming a somewhat reddish stem that branches from the base. Leaves occur along the stem, often to the tip of the branches, generally decreasing in size. Flowers: Many flowers are packed tightly in round clusters in uppermost leaf axils and whorled around the upper stem. The flower clusters up to about 1cm (3/8”) diametre at peak bloom. Flowers lack petals. They have 3 short stamens surrounding an oval, green ovary with a tiny, 2-parted style at the tip. Cupping the flower is a green calyx with 3 lance-oblong lobes less than 1mm long. Flowers bloom between June and August. Fields of Nutrition has medicinal benefits and vitamin/mineral content of Strawberry Blite. Leaves: Leaves are thin, are alternate, 2 to 10 cm (1 to 4”) long and often nearly as wide. 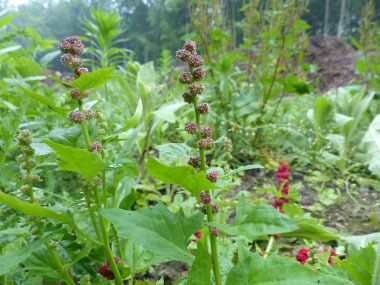 They are triangular to arrowhead-shaped, coarsely toothed and often a bit wavy around the margins. Leaves are pointed at the tip, and mostly straight across or wedge-shaped at the base. Lower leaves are long-stalked; the stalks become shorter and leaves more lance-shaped and less toothy as they ascend the stem. 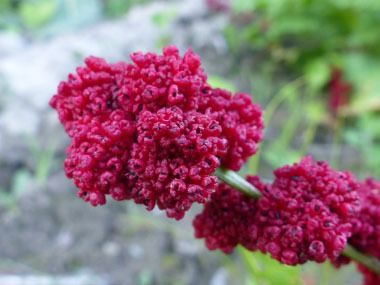 Height: Strawberry blite can grow anywhere from 20cm to 1 metre (8 to 40”) tall. 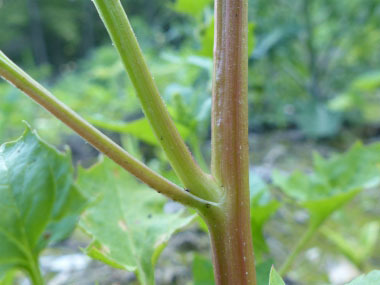 Stems are erect to ascending, ridged, hairless, and branched from the base. 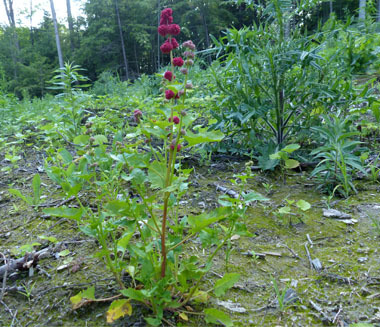 Habitat: This plant can grow in part shade but prefer the sun; moist to dry disturbed soil; roadsides, gravel pits, waste areas, fields, open woods, thickets, and clearings. It grows throughout Europe, New Zealand and is native throughout Canada (including the far north), Alaska and in some continental states. 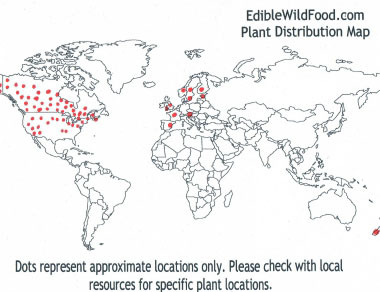 Edible parts: Leaves can be consumed raw or cooked; young leaves are best and always in moderation. 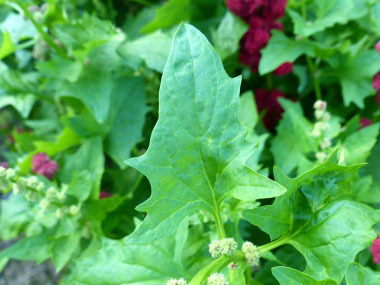 They can be used like spinach and are a good source of vitamins C and A. The somewhat sweet fruit can be eaten raw or cooked. A red food colouring can be obtained from the fruit. Seeds are small and fiddly, but can be consumed. They should be soaked in water overnight and thoroughly rinsed before they are used in order to remove any saponins.